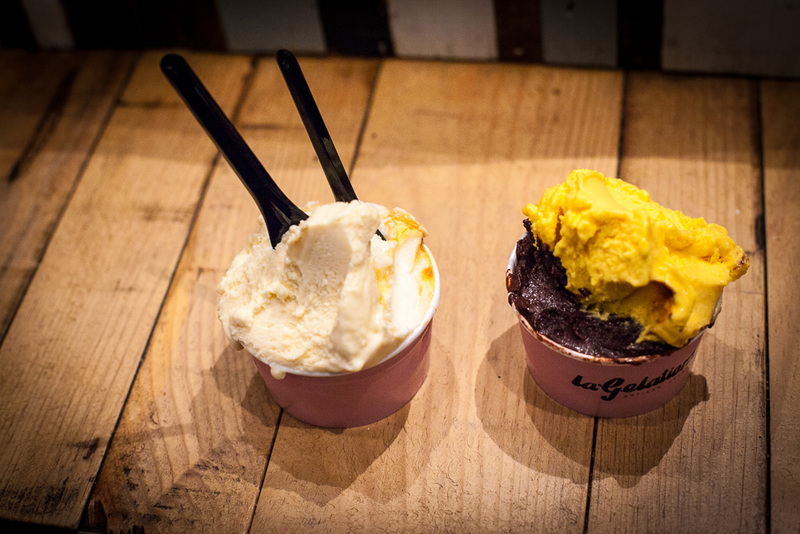 As we are much into ice cream these winter days and because we heard only good things about La Gelatiera in London, we had to give it a try. And so we did… more than just a few times and scoops!! 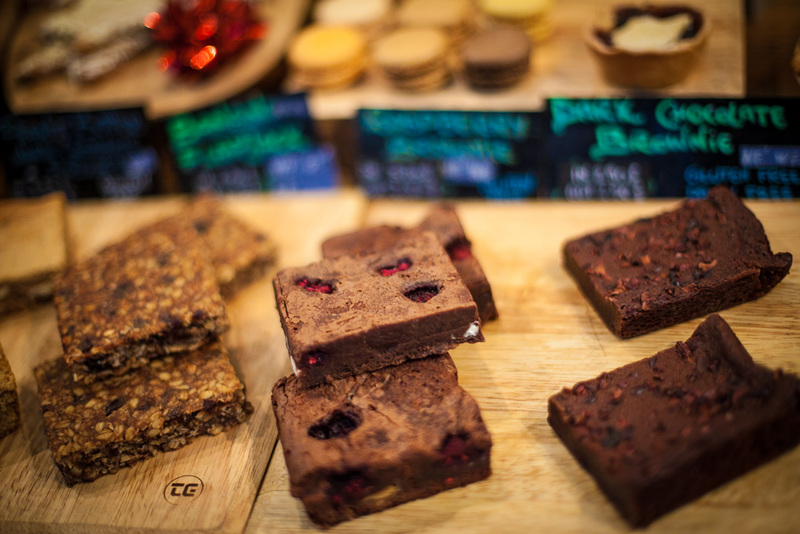 We totally fell in love with their creations, and were truly impressed by their craft and the exclusive use of high-quality ingredients (organic milk, real fruits – never artificial flavourings or nasty chemicals) to make these wonderful frozen delights. 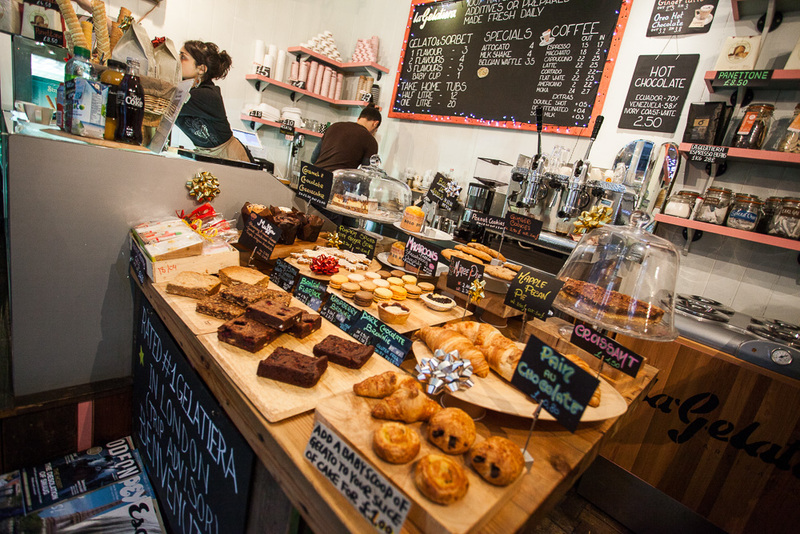 Notorious not only for the delicious variety of baked goods on offer or their authentic coffees made with a serious machine, the Gelatiera stands out particularly for the innovative – and often daring – flavour cocktails. From the award winning salty caramel (with Maldon salt of course, the flavour is superb and the salt is at least as present as the caramel), to honey, rosemary, and orange (voted in the top 50 foods in UK across all categories – a reward we entirely endorse), to crazy combinations such as basil & chili or pumpkin, parmesan and amaretti; everything we tried rocked big time! They even have a few vegan options so no one is left out! But we didn’t stop there! We wanted to discover their story and see with our own eyes how such goodness is actually made! 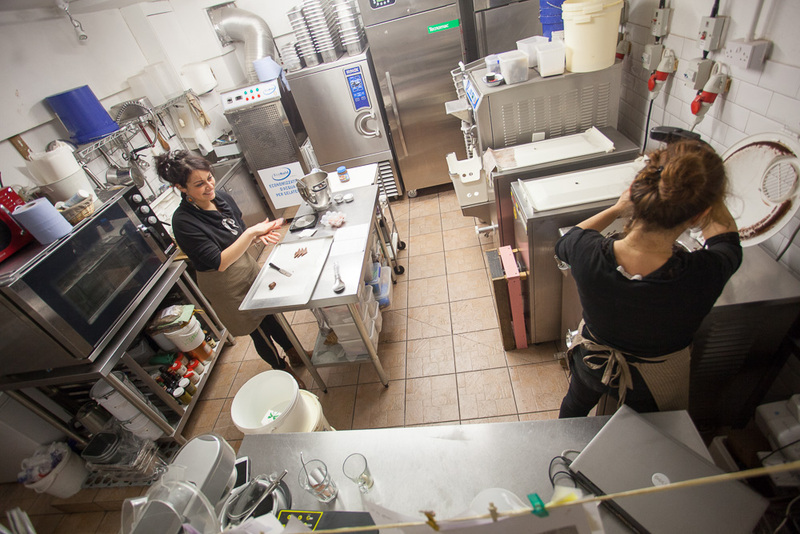 We recently met Stephane, one of the founders of La Gelatiera, who kindly invited us to sneak into their lab to understand the secrets for making such an incredible gelato. 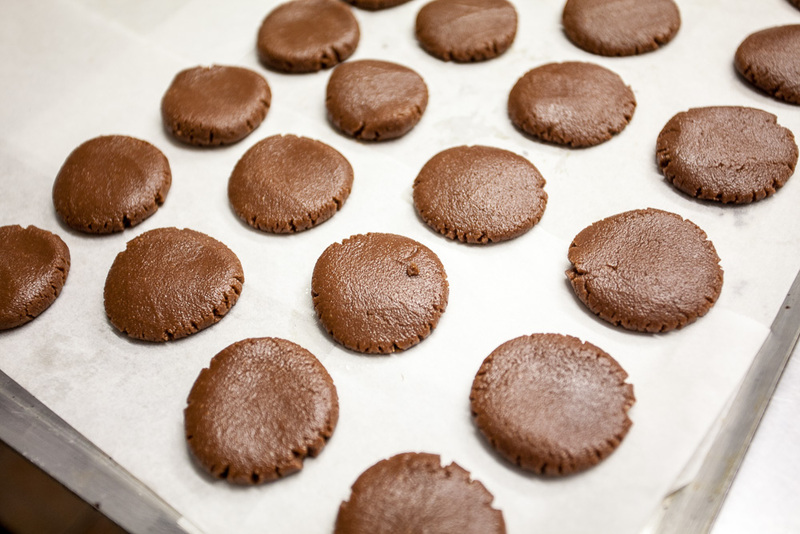 Advocates of Slow Food, the “secret” is pretty obvious: use only the finest seasonal ingredients, fresh fruits, organic & local dairy and the best possible cocoa and vanilla beans which is the only way to make such a flavourful delicacy that is 100% natural! Everything in there is handmade with lot of passion, the highest sense of responsibility, and great teamwork! 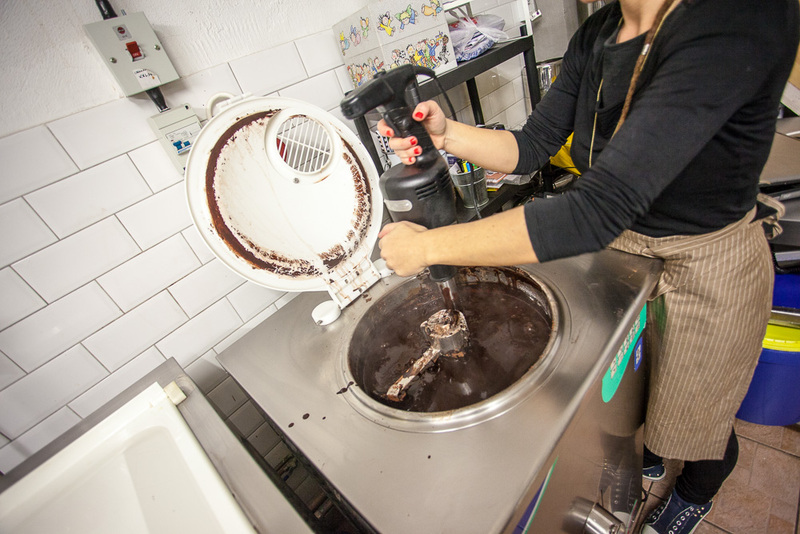 Read below our interview with Stephane to get inspired about ice cream making, and cannot recommend enough to indulge in their creations in their shop on 27 New Row, London (WC2N 4LA) and make sure you follow them on Facebook & Twitter. FC: Hi Stephane, can you introduce yourself and tell us the story behind “La Gelatiera”? 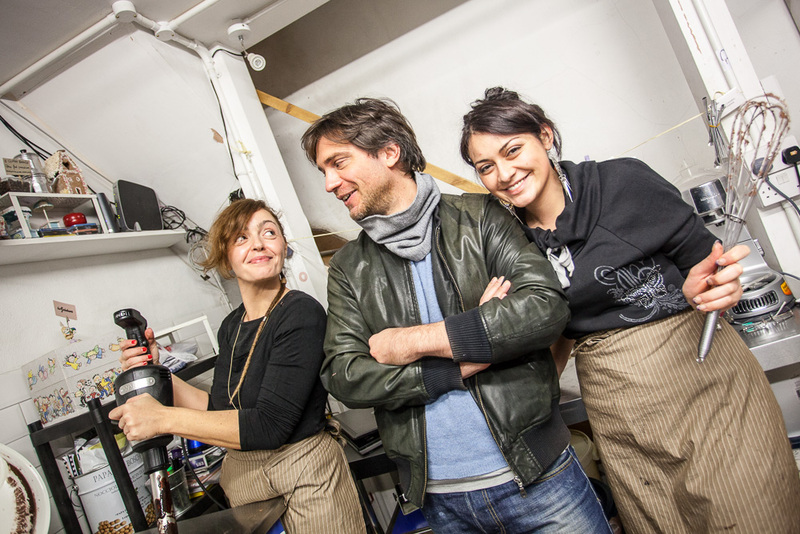 We are Simona, Antonio and Stephane. This started with our love for good gelato and a will to leave the corporate world to do something we were all passionate about. It has been quite a journey to get here – one of excitement, dedication, passion, drive and a lot of fun! For Antonio it all began when he was a boy living in Calabria in southern Italy. One afternoon he peaked into the kitchen of his favourite ice cream shop for the first time and discovered a marvelous world, a world he wanted to recreate. 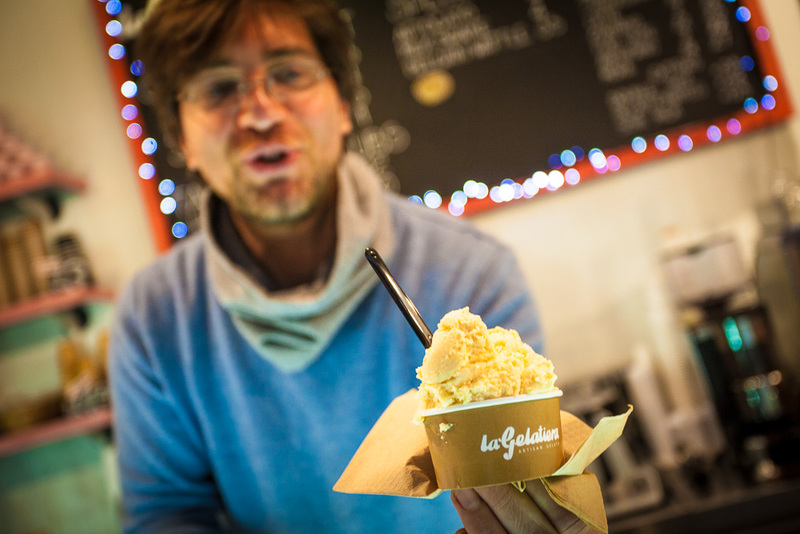 His grandfather was a gelato maker before him, and he is tremendously excited to carry on the family tradition at La Gelatiera and bring the best gelato possible to London. 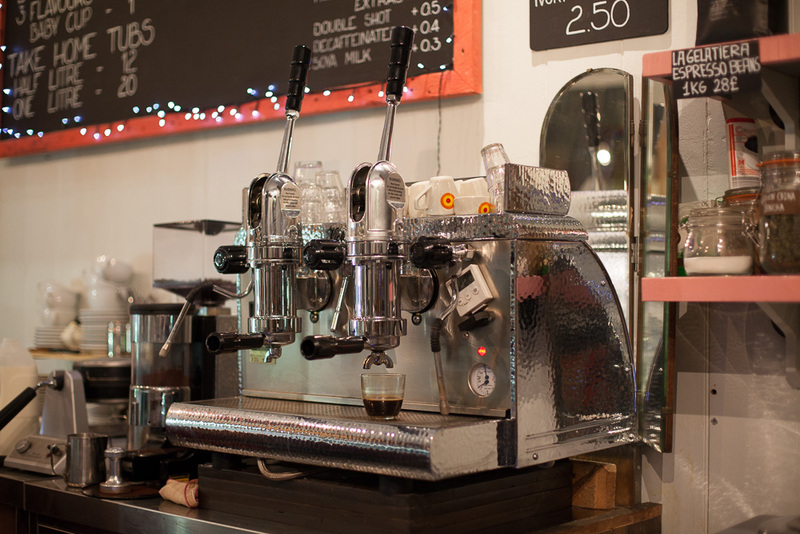 We are modern Italian artisan gelato makers based in Covent Garden. 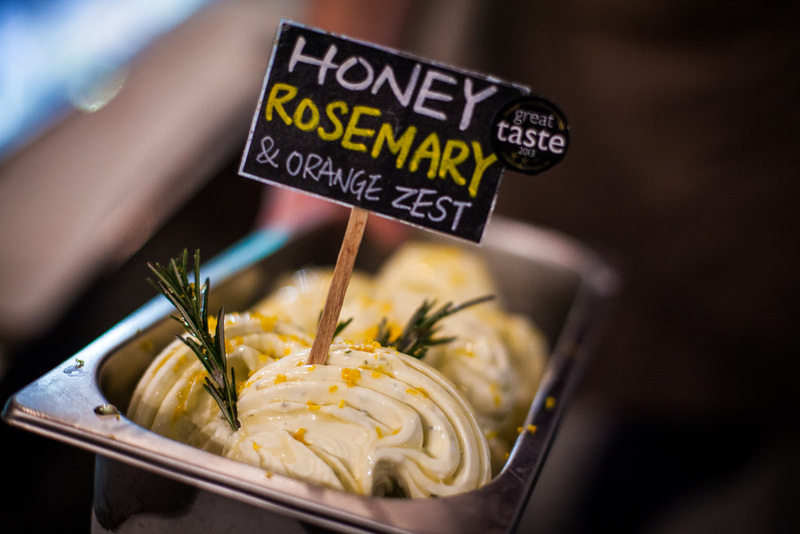 We hand-make all natural Italian gelato, and use healthy seasonal ingredients to create unique flavours of gelato and sorbets, never tasted before in London. 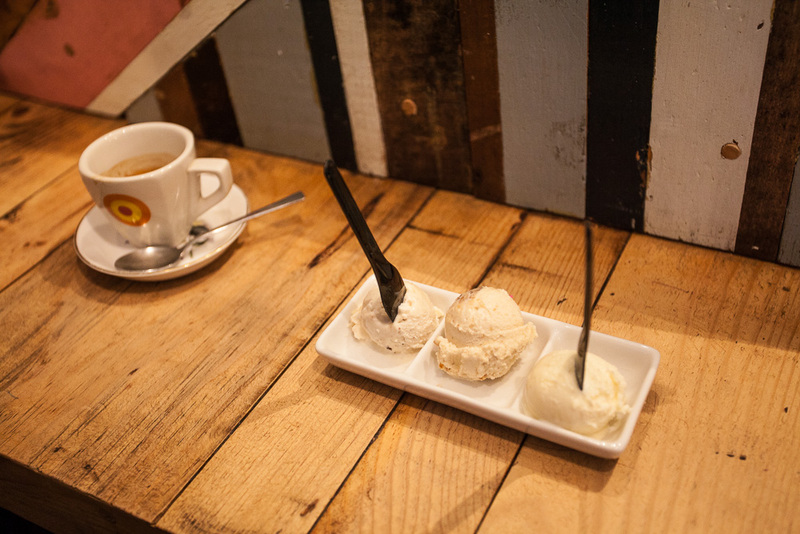 We are advocates of the Slow Food movement, and thus we continuously search for the finest seasonal ingredients in order to make the best gelato possible. 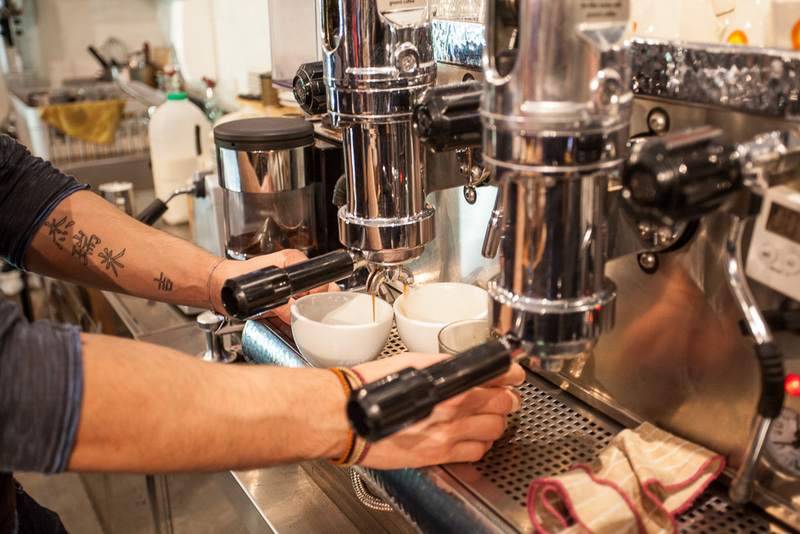 We only use fresh seasonal fruits, organic local dairy and the best cocoa and vanilla beans in the world. 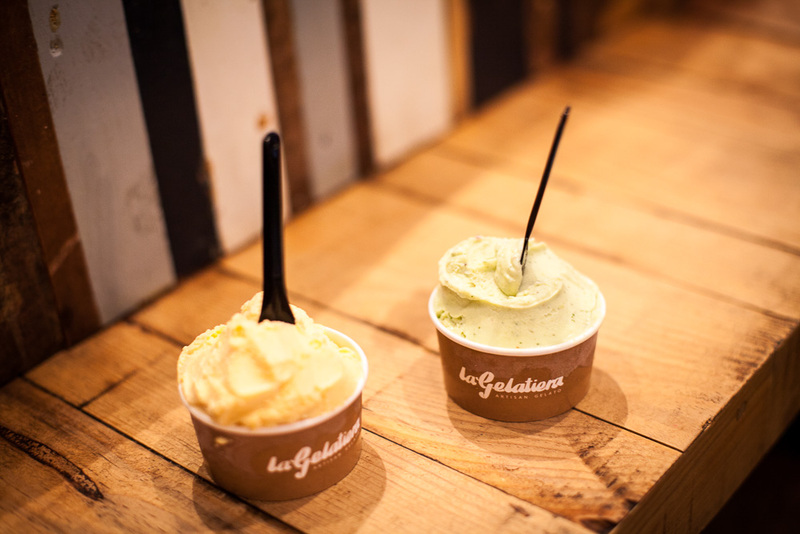 The name La Gelatiera refers to the traditional churn used to make gelato in Italy. 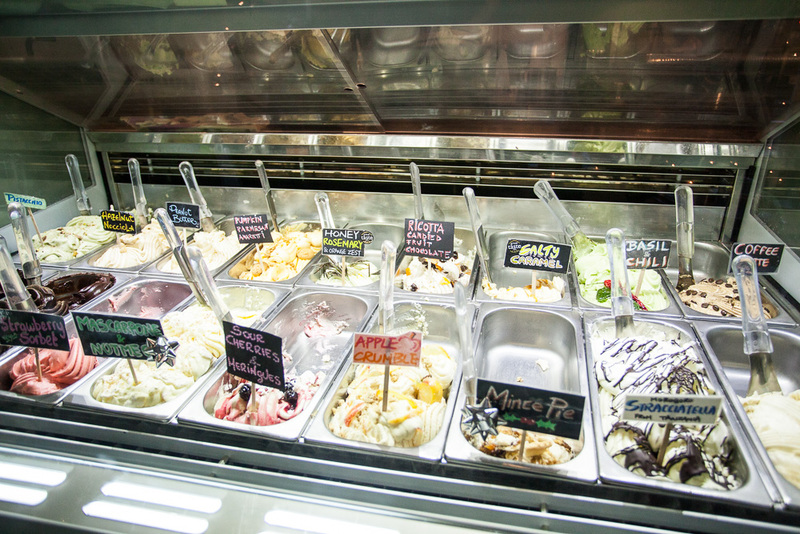 We chose it because we are passionate about the craft involved with making the best gelato. FC: What is the secret for the most amazing ice cream on earth? Care and passion first of all. 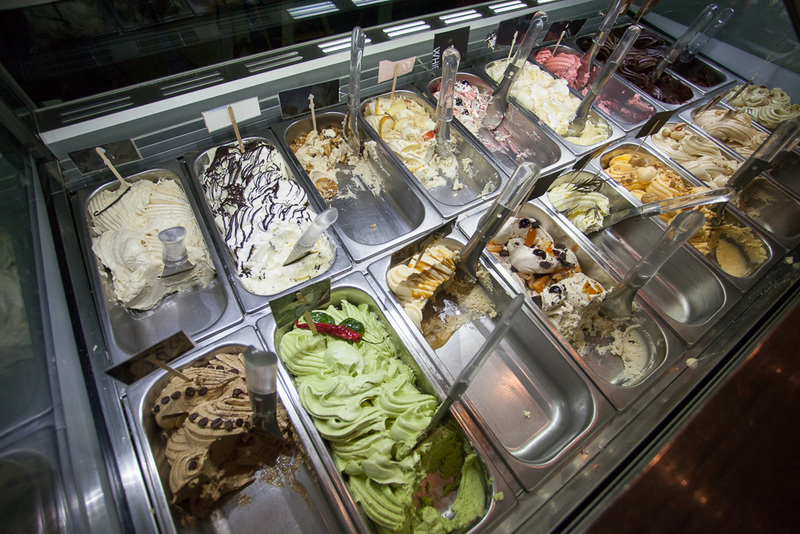 A good gelato is a result of our carefully chosen ingredients, genuine craftsmanship and the science of ingredients balancing combined with using the freshest and best ingredients possible. Freshness and quality is most important. 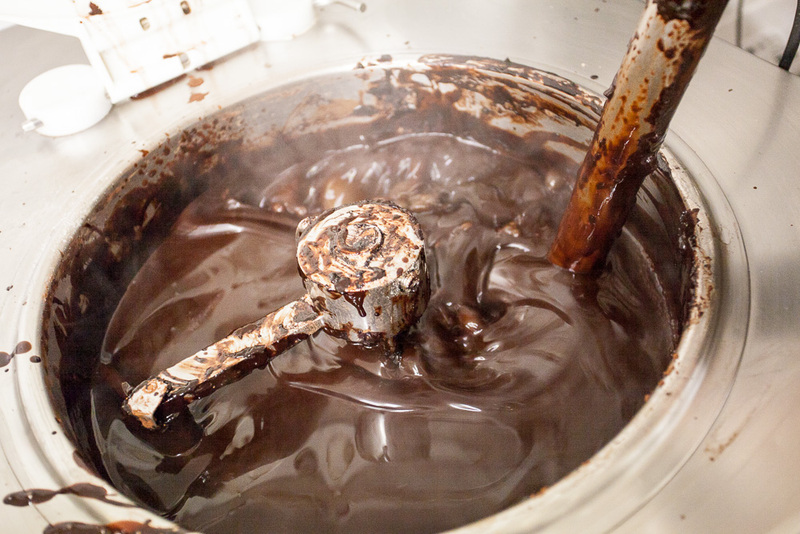 The best gelato is made fresh daily on the premises using original recipes and a traditional Italian process called mantecazione. Then add creativity and inspiration from every corner of the world and you get close to making the most amazing ice cream. FC: What were the biggest challenges when starting a business and what helped you the most to turn your dream into a reality? Be proud of your product and get your timing right, stick to your plan and planning. Don’t open in the winter due to delays if you do ice cream which happened to us…:( Of course access to funds is tricky so get your business plan right, make it unique and attractive for potential investors. Positive feedbacks from customers and returning customers make your dream turns into a reality. FC: What proved to be the most effective method(s) to grow your business/community/sales? What didn’t work at all? 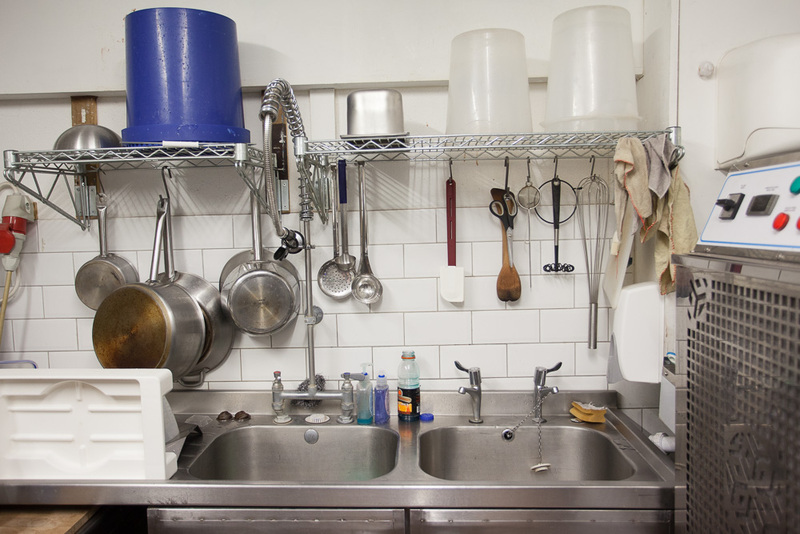 In other words, what you wish you knew when you started, and anyone launching a food business should do or avoid doing? Pre-opening awareness campaign using social media is pretty key to get the buzz started and build public anticipation. Forget about Groupon campaigns if you offer a premium product – it’s a waste of time. We did not realise that cost control and production optimisation would make such a difference to your bottom line. That doesn’t mean buying cheap products, we only buy premium ones, but buy them at the right price and according to your budget and forecasts. FC: Can you share an embarrassing anecdote you’ve been through since you started? Especially one that you laugh about now, but didn’t when it happened? The Hummous and carot gelato flavour was pretty awful. Not to be done again. FC: What’s next for you? Any future projects you’d like to share with us? Markets this summer (Maltby and Brick Lane markets) – great to meet the public outside the shop environment and get feedback. And more projects. Stay tuned! FC: A last word for anyone who dreams about starting their own business but are too scared/shy, don’t have time/money, or simply don’t know where to start from? Do it. 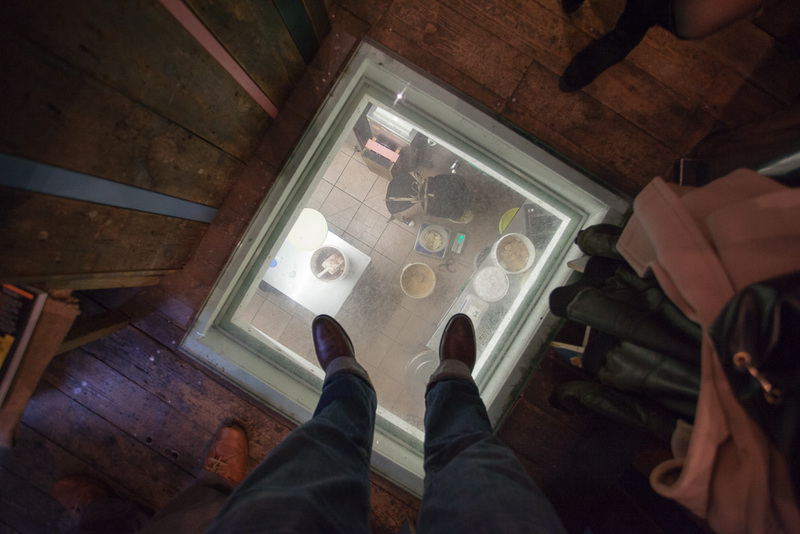 There are a lot of rewards for taking the risks to open your own business. Don’t be put off by the risks, but be aware/mindful of them, know what they are and make sure you are comfortable with taking them. Keep the faith, always be positive and passionate about what you do.